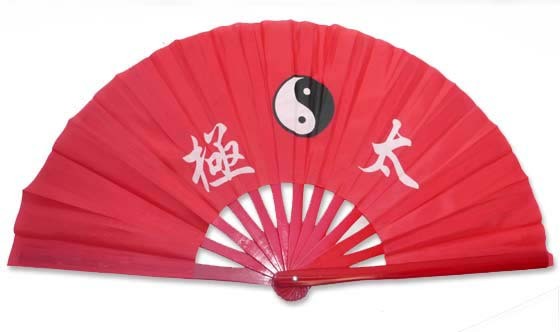 Tai Chi Fans are made with twelve hand selected bamboo spars, hand sanded to a smooth finish and painted to complement the color of the fabric. The face frame incorporates a strong nylon fabric printed with ideographs and Yin Yang symbol, for long lasting usage and makes a loud snap sound for training movements. 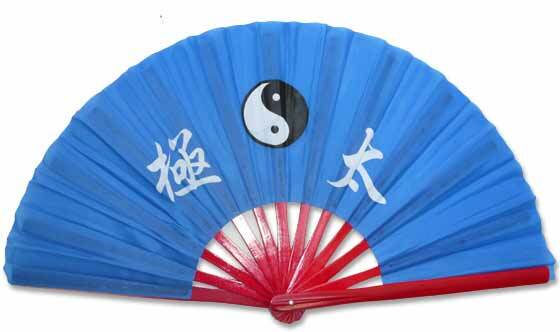 This fan is both practical and yet elegant.